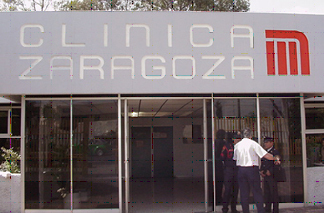 Zaragoza Clinic, of METRO Company (Mexico’s Collective Transportation System) was projected and put into service during the initial stage about 20 years ago; back then, these facilities managed to fulfil the needs of S.T.C. working population as in general medicine is concerned. Due to the growth of METRO’s network, the service capacity was exceeded in spite of the modifications and extensions that had been done in past years. To provide a solution, a new policy for the construction of the adequacy and extension project of Zaragoza Clinic was implemented so as to fulfil effectively as well as in due course the existing demand. COINTEC carried out the expansion’s constructive project, which implied to double the constructed area by adding a new building to the existing one while it was still fully operational. All the civil work of the new building, from foundations to finishing, carpentry and locksmith, including an underground cistern tank. Hydraulic Installation and fire detection and extinction system assembly. Sanitary and pluvial Installation assembly. Electric Installation and ground system assembly. Toda la obra civil del edificio nuevo, desde las cimentaciones hasta el acabado, carpinterías y cerrajerías, incluyendo un tanque cisterna subterráneo. Montaje de la Instalación Hidráulica y Red contra Incendio. Montaje de la Instalación Sanitaria y Pluvial. Montaje de la Instalación Eléctrica y Sistema de tierra.